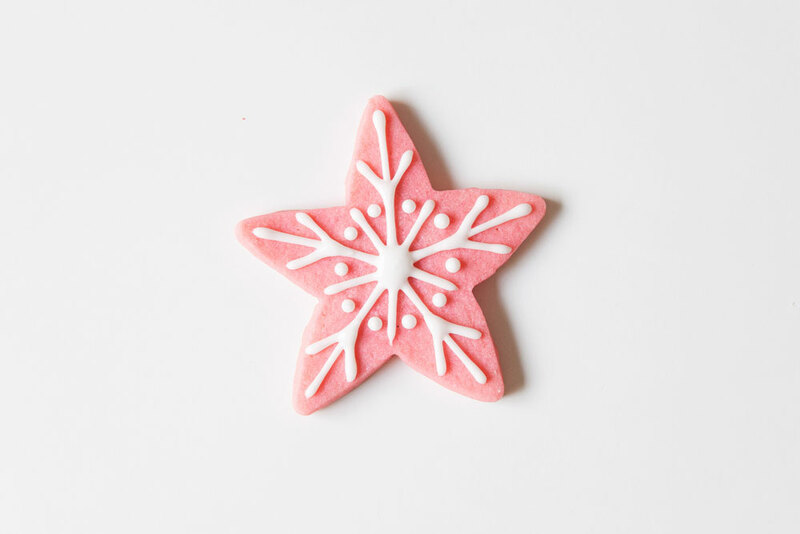 If I had to pick ONE cookie that is my very favorite it would be sugar cookies. I don’t care what occasion, they are by FAR the cutest cookies am I right? 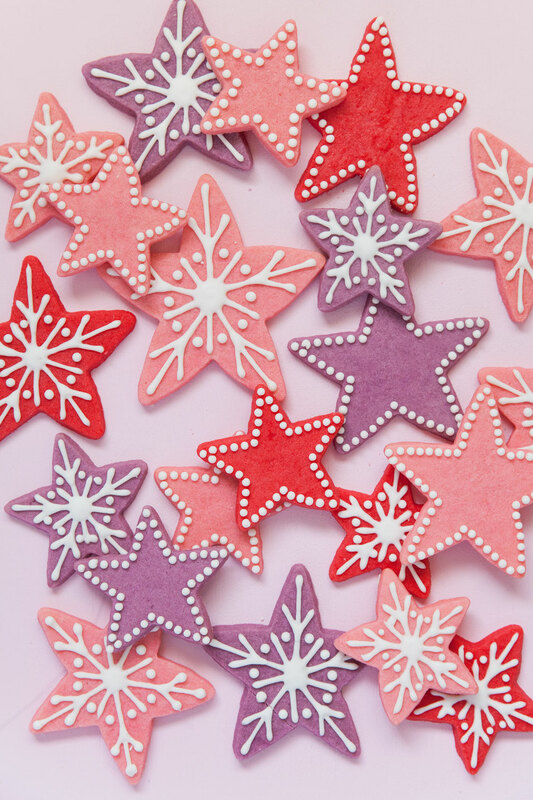 And these star Christmas cookies are no exception. 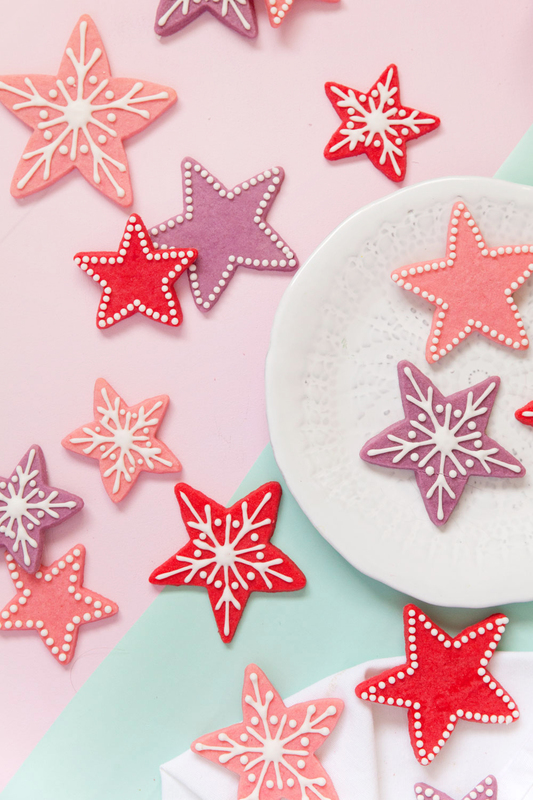 The colored dough makes them so much fun and cuts the frosting time in half! 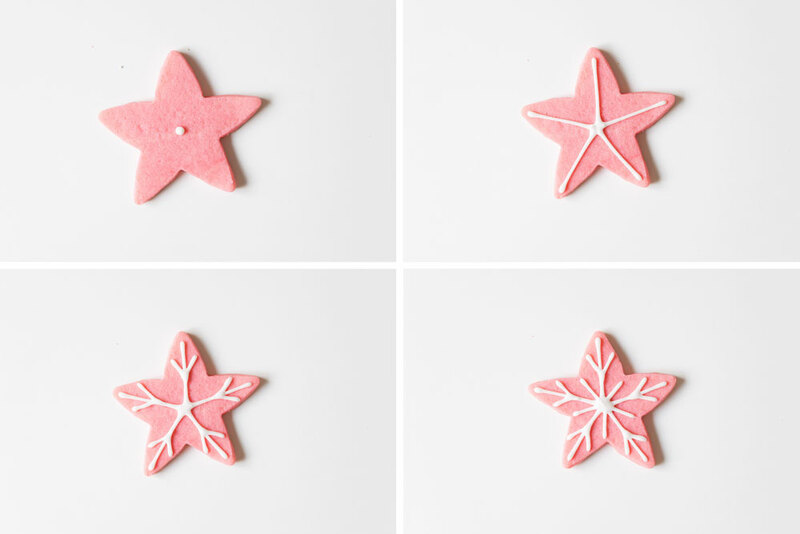 Learn how to make these festive star Christmas cookies below. Cream Butter and Sugar. Add vanilla and egg yolks (be sure not to over mix). Add flour. Roll it into 3 separate balls. Add the food coloring you want to each ball of dough. Then roll the dough till the food coloring is all mixed in. The more food coloring the more vibrant the dough. Be sure not to over roll the dough or it will make the cookies tough. Put the dough between two sheets of parchment paper and roll out to about 1/4 inch thick. Then put in fridge till it becomes hard (about 30 min), then remove and cut out shapes. When the dough has become soft again repeat until all the dough is gone. Bake the cookies at 350 for about 10-12 min. Each oven is different, so watch them. They are best when taken out before the edges start to brown. I use a Royal Icing to frost my cookies. I usually half this recipe, but it all depends on how much icing you are planning on making. Also you might need to add more sugar or water to get the consistency you want. The trick is, you run a knife through the icing and count 10 seconds, if the frosting has flattened out by then it is perfect. If it is too thin then it might run off the cookies and if it is too thick and keeps its shape for longer then it wont smooth out. 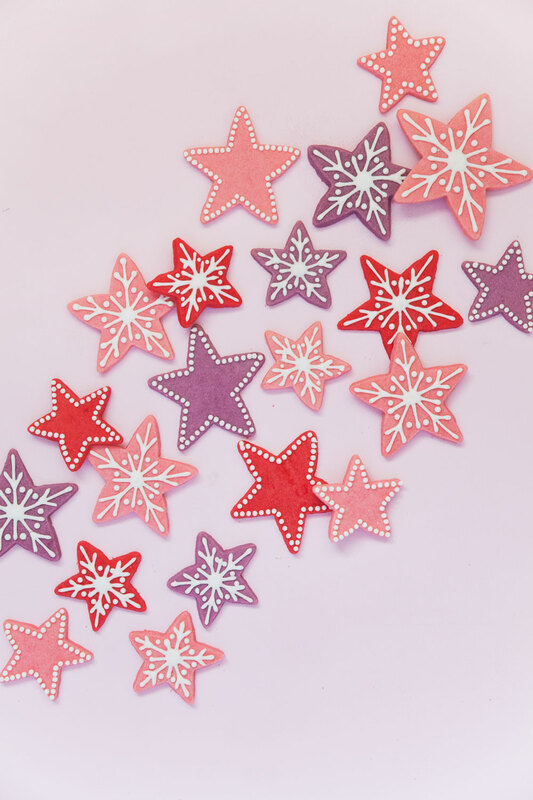 Now turn those cute stars into snowflakes! 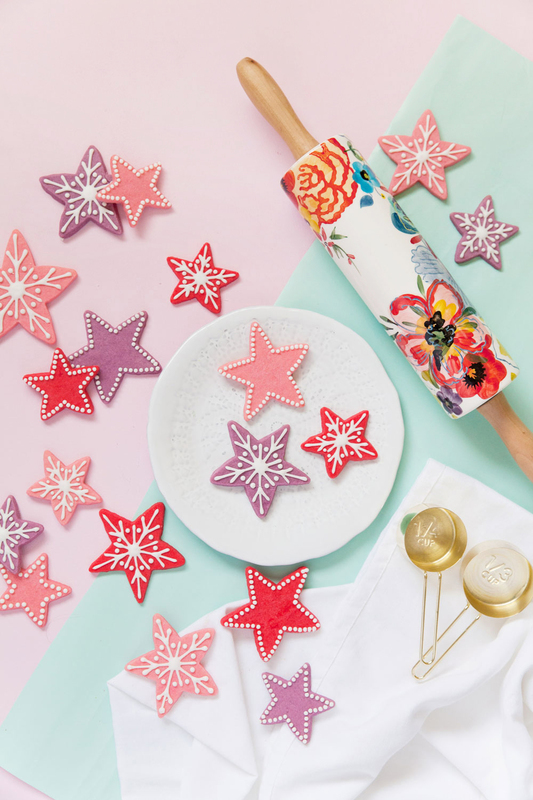 They look sooo pretty, almost too good to eat!